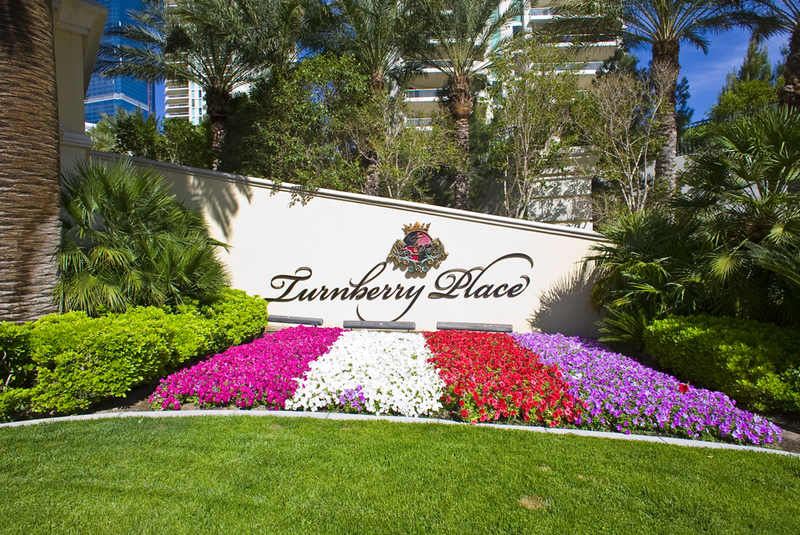 Turnberry Place Las Vegas Condos News-Stirling Club Re-Opening Spring 2019! Turnberry Place’s Stirling Club is Re-Opening-Spring 2019! 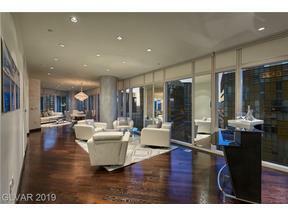 Interested in seeing all the Turnberry Place Penthouses & Luxury Condos for Sale today? 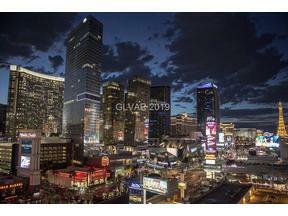 Please Scroll Down the Screen to View these Gorgeous High Rise Condos. Big News for current and future Residents at Turnberry Place has been announced with the planned re-opening of The Stirling Club. The Stirling Club at Turnberry Place has been purchased for $12.4 Million with plans to re-open Spring 2019. The 80,000 Square Foot Recreation Center pictured above that sits in the middle of the 4 Tower Guard Gated High Rise Complex includes Indoor and Outdoor Pools, Multiple Tennis Courts, and a Fully Equipped Gym with Locker Rooms that have Spa / Steam / Sauna included. The Stirling Club also used to house a Restaurant, Lounge, Cigar Room, several Conference Rooms, a Salon and on-site Concierge. Prior to it’s closing in May of 2012 The Stirling Club was the pinnacle of Lux Amenities for High Rise Condominium Residents in the City and it’s weekend Social Events in the Lounge along with delicious weekend Seafood Laden Brunches & was the place to be for many of the Old Vegas “Royalty” and Jet Setters who called Turnberry Place their home when staying in the City of Las Vegas. Spacious Gym and Locker Rooms. The Stirling Club will also be available for Corporate or Private Functions with it’s multiple Conference Rooms and Dining Rooms that overlook the Pool. In years past these spaces served for Wedding Receptions or were reserved for Lavish Parties. The re-opening of The Stirling Club coincides with The Fontainebleau Resort also being purchased recently and re-named The Drew. This is huge for residents at Turnberry Place as the parking structure that backs up to Towers 1 and 3 has been a bone of contention for many years as it obstructs the previous view for many of the units on lower floors. Views are never guaranteed when purchasing a property, but at least if you are going to lose your view to new construction it gives some sense of compliance to at least know the structure is prosperous, not just an empty parking garage in a failed venture. With The Drew set to revitalize the property that borders Turnberry Place we speculate that this can only have a positive impact on Turnberrry Place and property values in the surrounding area. Resorts World is also under construction on Las Vegas Blvd. 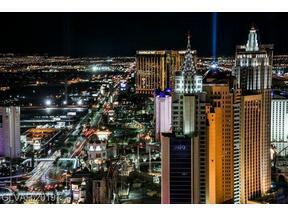 within a few blocks of Turnberry Place and Towers and this Mega Resort will bring excitement to the Northern section of the Strip that has never been seen before. 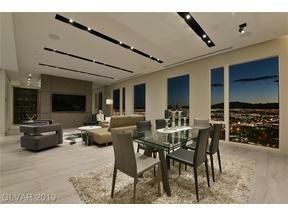 There are currently 35 units on the market at Turnberry Place in all 4 Towers. Of those 12 are penthouses – some with private rooftop pools, ranging in price from $1,175,000 to $6,900,000. 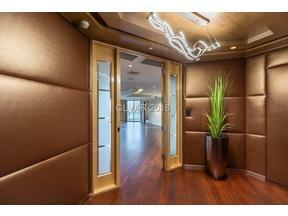 All Turnberry place penthouses have the elevators open into a private vestibule. 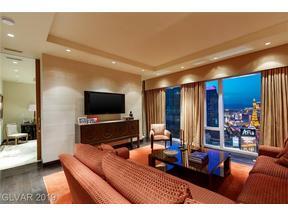 There is only one 1 bedroom in Tower 4 for sale at $335k. This is a fabulous floorplan in 1179 square feet, plus a balcony. 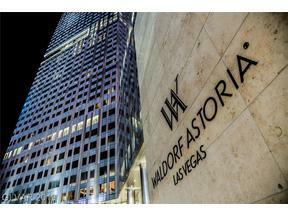 The highest price 2805 sq. ft. 3 bedroom is $975. When the Towers were originally sold they came as grey shells where New Owners had the choice of finishing the floors and the walls as they chose. Many of the units have been custom designed with extravagant doors and immaculate marble floors the likes of which you would find in a custom residential home. 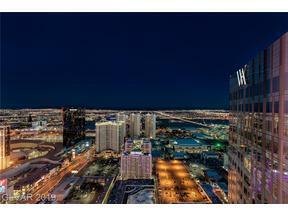 Originally built in 2001 Turnberry Place along with Park Towers sparked the High Rise Condo Boom in Las Vegas that continued on till 2006-2007. 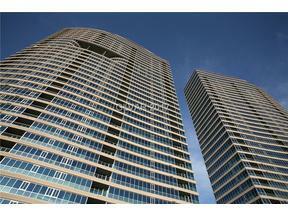 There are 4 Towers at Turnberry Place each having 38 Floors with a Total of 720 units between all 4 Towers. Since the final towers completion in 2005 many of the units have been re-modeled with a more Modern, Current look. What makes units at Turnberry Place so special in comparison to other High Rise towers is the sheer size of the units and the open living spaces that can only be found in 2000 plus square foot units. The balconies alone feel larger than some of the interior spaces in other High Rises with certain floorpans having outdoor patios off both sides of the unit. The Kitchens at Turnberry Place rival that of which you would see in a large custom home with the finest finishes and appliances money can buy. 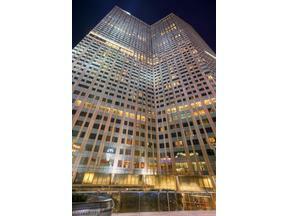 The largest unit currently on the market boasts 8,205 square feet of interior space listed for sale at $6.9 million. Tower 4 was the last to be built in 2005 and has a more modern design that the others while also including units that are smaller in size, a strategy Turnberry would follow when they built Turnberry Towers on Karen Ave just across the street. 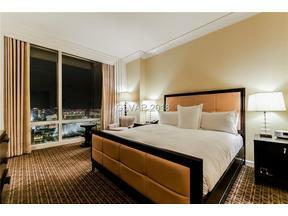 Currently on the market in Tower 4 is a One Bedroom unit listed for $345k that has 1,179 of interior square footage. Unlike anything else in the City, each Tower at Turnberry Place has it’s own look and charm about it. People who know the towers well tend to have an affinity to a specific Tower based on its design and staff who employ the Front Desk/Concierge and Valet personnel. 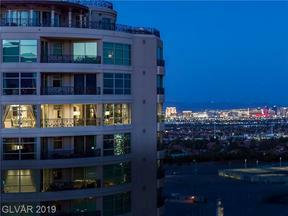 For the Client looking for spacious / upscale interiors and balconies that have ample room for outdoor furniture and space to enjoy the amazing views of the City that many of the units provide, Turnberry Place is and always has been the go to property for those who know the High Rise market in Las Vegas. We at The Stark Team have been selling and listing units at Turnberry Place since it’s inception and continue to actively market and provide information for Clients wanting something special in a High Rise Condominium that is unlike anything else in town. With the re-opening of the Stirling Club and all of the other exciting developments nearby we look forward to Turnberry Place once again becoming the Hot Spot in the City for Savvy Real Estate Owners and/or Investors. 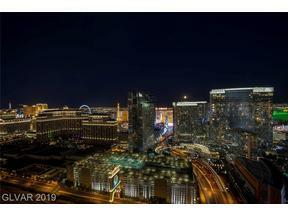 This entry was posted in Las Vegas Luxury Condos, Turnberry Place and tagged Guard Gated Las Vegas Strip Condos, Las Vegas Luxury Condos, Las Vegas Penthouses with Pools, Las Vegas Strip High Rise Condos for Sale, The Stirling Club News, Turnberry Place. Bookmark the permalink.